Remaco BKT-506 and BKT-512 are our latest product solution to your visual needs. 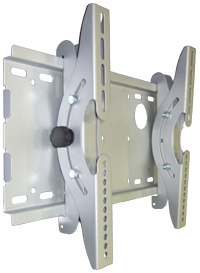 Thou similar in design, these brackets are different in its suitability for different Plasma / LCD TV panels. User friendly and highly durable, now, it comes with a bigger tilting angle which allows it to be easily tilted to the desired angle for different requirements. 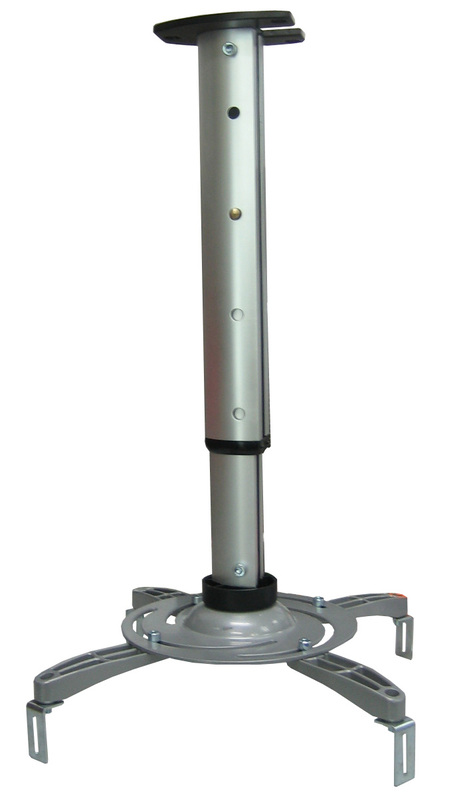 Also, with the universal arms being able to be moved across the base plate, it allows maximum use for different sizes of Plasma / LCD TV panels simply by pushing the universal arms into position and locking it in place with the stopper screw. BKT-506: Dimension: 51cm x 22.5cm x 1.5cm(depth) Maximum loading capacity:85kg Most suitable for screen size: 26" to 42"
BKT-512: Dimension: 80cm x 22.5cm x 1.5cm(depth) Maximum loading capacity: 96kg Most suitable for screen size: 37" to 62"
Remaco PSB-50 is one of our Stylish ceiling mount projector spider bracket. With its metallic silver column and adjustable legs. it is the perfect selection for today's market needs. Designed to be user-friendly, the height of the bracket can be adjusted to 4 different defaults lengths between 40cm - 61cm, simply by the push of the stopper and setting it to the desired length. The circular plate of the spider bracket allows each leg(s) to be rotated nearly 180 degrees around its position. With a maximum load capacity of up to 16kg, it further enhance its compatible with most of the projectors in the market.